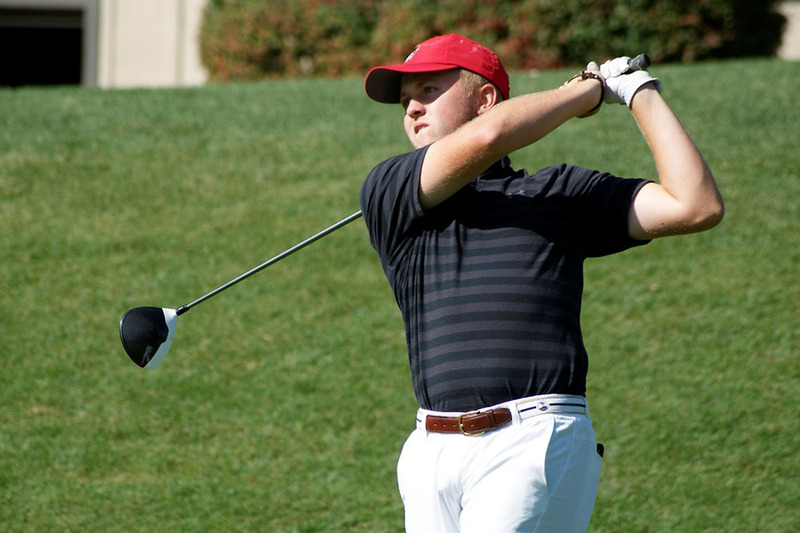 Clarksville, TN – Austin Peay State University (APSU) men’s golf will host its annual fall event, the F&M Bank APSU Intercollegiate, at Greystone Golf Club in Dickson, Tennessee. The two-day event kicks off Monday, October 15th, 2018 with 36 holes beginning at 8:30am, while Tuesday’s final 18 holes begins at 9:00am. Patrons who brave what is scheduled to be a soggy two days will be treated to 66 players from 10 teams this week, including a veritable bevy of Ohio Valley Conference programs. In addition to the Govs, players from Belmont, Eastern Illinois, Murray State, SIU Edwardsville, Tennessee State and UT Martin, as well as Binghamton, Evansville and Trevecca. The Skyhawks were the team champion a year ago, while Belmont won in 2013 and 2015; the Govs have won the tournament nine times since its inception in 2009. This marks the third year in a row the Govs have elected to play at Greystone, site of the OVC Tournament from 2010-13. The par-72 track plays at an even 7,000 yards this week, including the mammoth 560-yard par-5 on hole No. 2. Nine Govs will take the course this week, with sophomore Chase Korte slotting in as the No. 1. In his debut in this event last year, Korte finished sixth and shot a one-under 215 (72-72-71) at Greystone. He comes in this week after his season’s first top-20 finish two weeks ago at Sapphire Valley. Junior Michael Busse tied for 14th with Korte two weeks ago and will slot in as the No. 2 this week, while sophomore Garrett Whitfield will play as the Govs No.3; in his debut appearance in this event last season, the Johnson City native led the tournament in par-4 scoring (4.03/hole). Junior Austin Lancaster and freshman Micah Knisley round out the Austin Peay lineup; Lancaster claimed a top-20 finish in this event a year ago, while Knisley’s spot in the lineup means that an Austin Peay freshman is in the lineup for the home tournament for a third consecutive season. Four Govs will compete as individual this week—seniors Sean Butscher and Sam Lopez, junior Alex Vegh and freshman Jordan Rodriguez. Lopez will compete for the first time since Spring 2017 after injury robbed him of the entirety of the 2017-18 campaign, while Rodriguez will make his Austin Peay and collegiate debut. Butscher tied for sixth in this event in 2016, its first year at Greystone. Live scoring will be provided for all three rounds via BirdieFire.com, while a complete recap and full results will be available at the conclusion of play each day at LetsGoPeay.com. On-course updates will be available throughout the day on Twitter @AustinPeayMGO. Inclement weather is expected on Monday; be sure to follow the Govs on Twitter for up-to-the-minute updates.